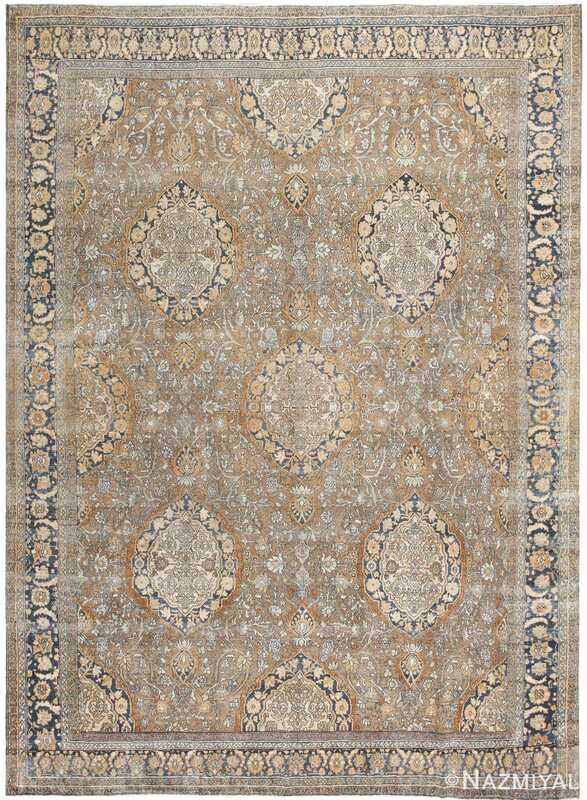 Antique Persian Bibikabad Rug, Country of Origin: Persia, Circa Date: 1940– An exquisitely ornate medallion features in the middle of this Persian rug, arrows extending from the top and bottom of the tilted square form and seeming to anchor it. The symmetrical and kaleidoscopic ornament is rendered in minute stitches of dark blue, orange, cream, yellow and red. A fine pattern of mesh like a jeweled net rests behind the medallion, creating a pale field with darker accents. 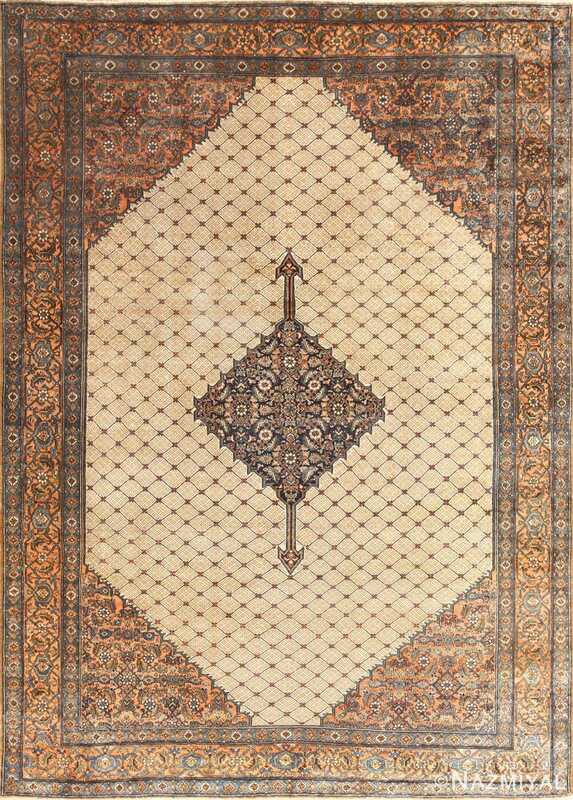 The corners of this Bibikabad rug are filled with orange triangular decorations like heavy lace, nearly as complex as the central figure and showcasing small, circular white flowers. A set of blue and orange borders edges the piece, stylizing floral shapes filling their widths. 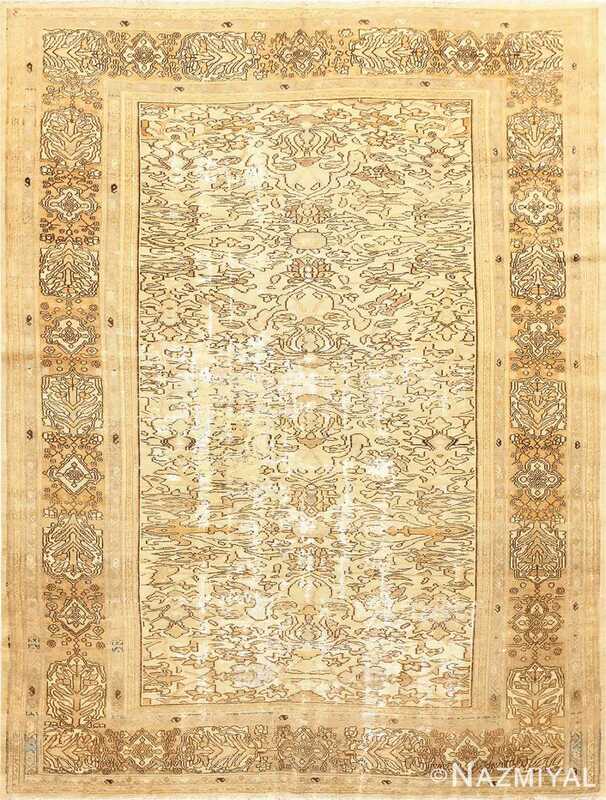 A finely-scaled pattern of boteh or paisley motifs in staggered rows repeats endlessly across the field of this elegant antique Bibikabad from Persia.